The award-winning cellist Michael Petrov has impressed audiences and critics with his “captivating musical temperament and a direct eloquence, as if speaking through his instrument” (Die Welt). An ECHO Rising Star in the 2015/16 season, Michael has performed at major concert halls including the Concertgebouw Amsterdam, Cité de la Musique Paris, Musikverein Vienna, Budapest Palace of Arts, Kölner Philharmonie and the Laeiszhalle Hamburg. Further afield he has given recitals at Carnegie’s Weill Hall and Los Angeles Cello Festival, and toured throughout China. As a soloist Michael has appeared with the Philharmonia, Bournemouth Symphony and CBSO Youth Orchestras, as well as the Munich Chamber and English Chamber Orchestras, and has worked with conductor such as Edward Gardner and Rory MacDonald. In 2013 he performed Prokofiev's Sinfonia Concertante at the Barbican conducted by Gianandrea Noseda. Most recent orchestral highlights have included Tchaikovsky's Rococo Variations with the Royal Philharmonic Orchestra, the Barber Concerto with the New Symphony Orchestra in Sofia, Bulgaria, and Haydn's Concerto in D with Sinfonia Cymru. This season, he returns to the Royal Philharmonic Orchestra for further performances of the Rococo Variations under the baton of Jamie Phillips, as well as the Elgar concerto with Brian Wright. He performs Brahms’s Double Concerto at the Festival de Música de Popayán, Colombia, with violinist Ben Baker, and Shostakovich’s Cello Concerto No. 1 with Scarborough Symphony. Spring 2019 will also see the recording of his first solo CD which will include Poulenc’s Sonata for Cello and Piano op. 143, Dutilleux’s Trois Strophes and César Franck’s Sonata in A, with pianist Erdem Misirlioglu. A passionate chamber musician, Michael is a member of the critically acclaimed Trio Isimsiz. The trio’s first CD was released in 2017 and in 2018 they won a Borletti-Buitoni Trust Fellowship Award. In the UK, Trio Isimsiz regularly appears at venues such as Wigmore Hall and Snape Maltings. Recent dates have included the Trondheim Chamber Music Festival, the Kölner Philharmonie, and the Théâtre des Abbesses in Paris. 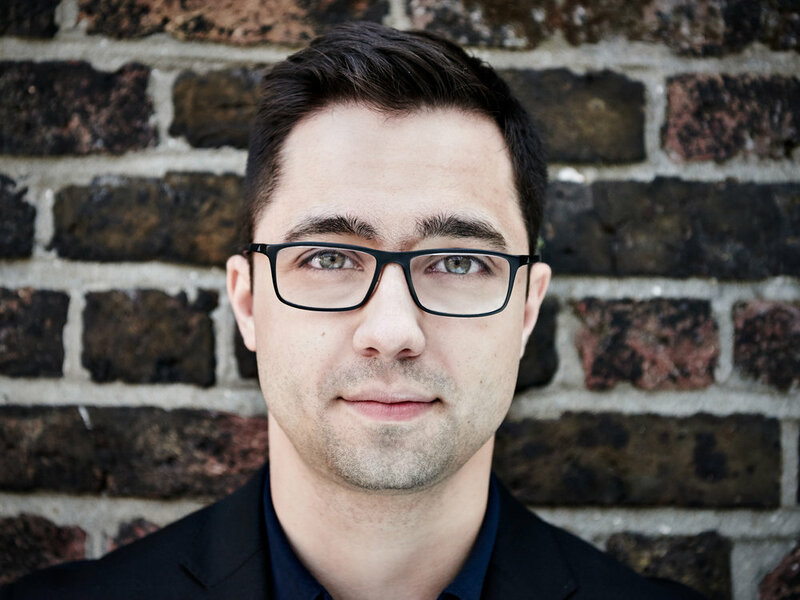 Born in Bulgaria, Michael studied at the Yehudi Menuhin School and at the Guildhall School of Music & Drama with Louise Hopkins, winning the Gold Medal in 2014 and the Wigmore Hall Prize in 2017. He was selected by the Young Classical Artists Trust in 2013 and won 2nd Prize in the 2012 International Brahms Competition in Austria and 1st Prize in the 2011 International Suggia Competition in Porto. He took several masterclasses at the Kronberg Academy in Germany, including with Bernard Greenhouse, David Geringas, Frans Helmerson and was selected for a public lesson with the late Mstislav Rostropovich. Michael holds a Karl Motesiczky Scholarship funded by the Marie-Louise von Motesiczky Charitable Trust. He plays on a J B Vuillaume cello (1846) on generous loan from a private individual. 2018-19 Season only. Please contact Music Inter Alia if you would like to edit this biography.